This 1940 Berkeley Models free flight model featured a propeller that folded back to decrease drag after the rubber band “engine” quit. In 1933, William L. "Bill" Effinger, Jr. founded Berkeley Models, Inc. to support himself in engineering school. 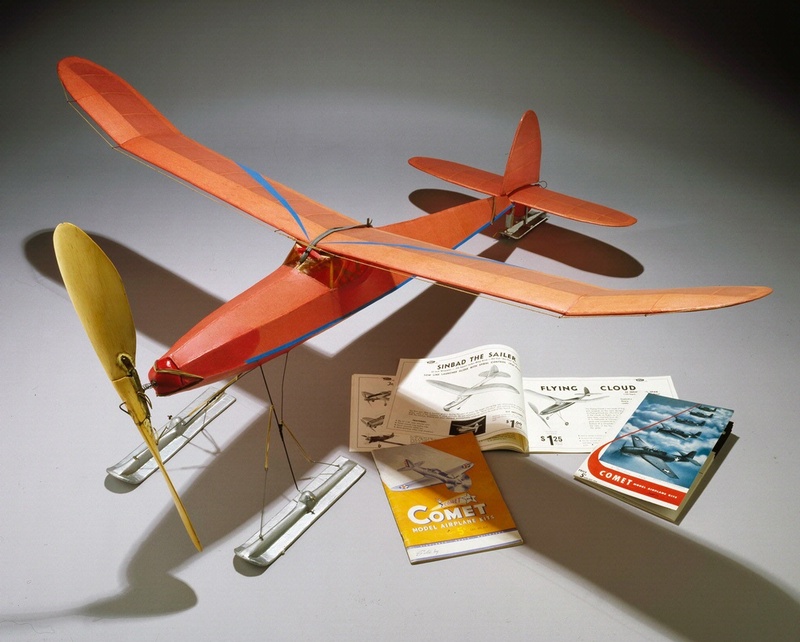 Taking advantage of the extreme popularity of model aircraft in the 1930s, Berkeley Models became one of the most prolific producers of model kits with such innovations as the first gas-powered model airplane kit. Berkeley Models produced kits until 1962. This model was built by former National Air and Space Museum curator Robert Mikesh. Find out more about Berkeley Flying Cloud.